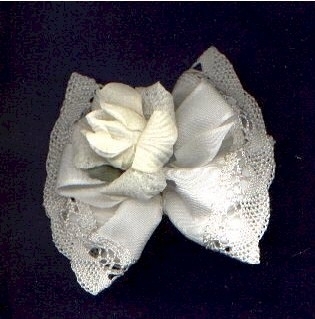 Taffeta and macrame bow - -sold EMPTY AND UNDECORATED. We have 44 in stock ONLY. In light ivory.